Since the 16 way seats in my Reatta don’t work anyways, I want to just have a little fun with the car. I’m going to put some bucket seats in it. I’m going to have to custom build the bracket for the seats aren’t I? I’m going to have to custom build the bracket for the seats aren’t I? It depends on which bucket seats you use. 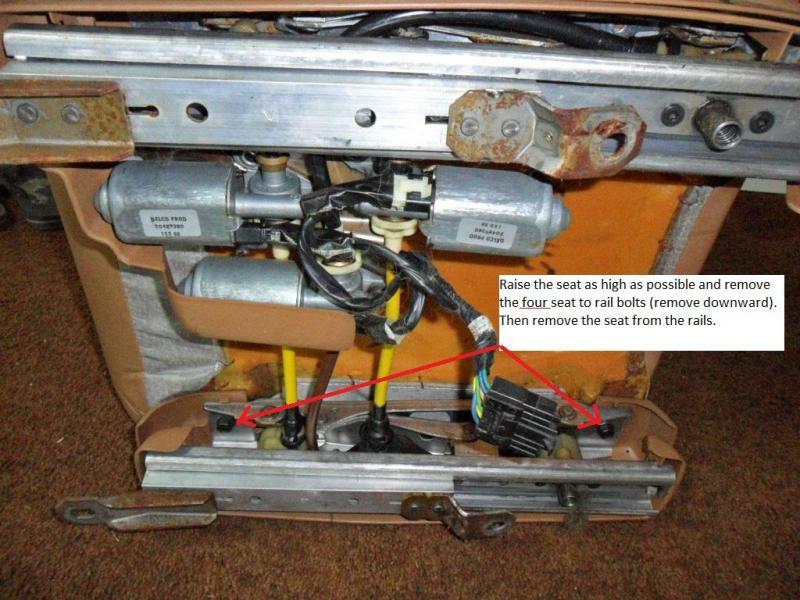 The Reatta seat unbolts from the track with four bolts. Some GM bucket seats might bolt right up. Others may just need an adapter to mount them to the original tracks. Thanks to whoever provided this photo. Don't remember who it was. Thanks for the picture, I got the passengers seat out hoping to get some measurements for the seats. Riviera of the same years will be the same. To me that means you could put Seville or Eldorado seats in your Reatta and if the power connectors are the same, it would be plug and play. Last month I pulled some parts from a 1990 Seville that had great looking black seats.